Trevor Cunningham came to me with an amazing product. A quality burger that was naturally extremely low in fat. He needed a brand. 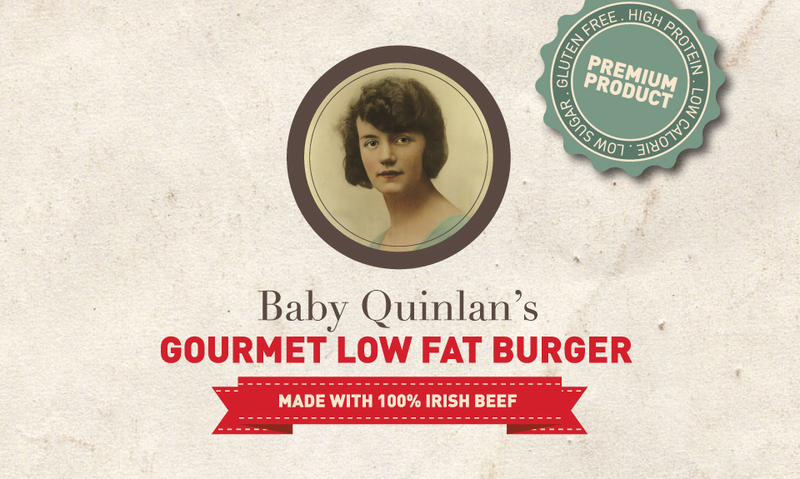 After some research we discovered that Trevor is from a long line of butchers, his lineage stretches back to a renowned Waterford woman, Baby Quinlan, who inherited her fathers butchers business and became the first woman butcher in Waterford. It was fitting that we developed the brand around her!